You know how it is, you’ve just finished university and you want to let off some steam with some of your pals, take a little vacation and party the nights away. But where do you go? Greece is becoming increasingly popular with party-goers. The cheap drinks, the scenery and the plethora of bars and clubs are a breeding ground for fun. So if you’re thinking about your next trip, these are five of the best party islands in Greece. Ios is becoming increasingly popular as the perfect party destination. As one of the Cyclades Islands, it’s a picture postcard of sandy white beaches, aquamarine sea – and incredible nightlife. Each summer, thousands of people from all across the globe descend upon this island to explore its party scenes, and some of the biggest and best bars and clubs in the world – including Slammer Bar, Disco 69, Scorpion Nightclub and Sweet Irish Dream. The island is also host to some of the craziest dance festivals like Aftershock. Although it’s beautiful and quaint in the day with it’s cobbled streets and relaxed vibe, the island truly comes to life at night. As well as being one of the most visited party island in the world, Mykonos is also one of the most beautiful. With its quaint little fishing villages, whitewashed houses, scenic walks, archaeological sights and religious monuments, Mykonos doesn’t really look like a party town from the outside. But when the sun starts to set, the party-goers make their way down to the famous Super Paradise Beach to get involved in some of their epic beach and pool parties. But if you want a break from the beach, there are so many other bars and clubs to choose from you won’t know where to start. Santorini is famous for its beautiful white buildings, blue roofs, and hilltop location and is often associated with the rich and famous. But over the past few years, Santorini has begun to make a new name for itself – the party island. The island is home to numerous beach clubs (and let’s be honest, you’re going to want to check out these beaches), bars and nightclubs where you can dance the night away. 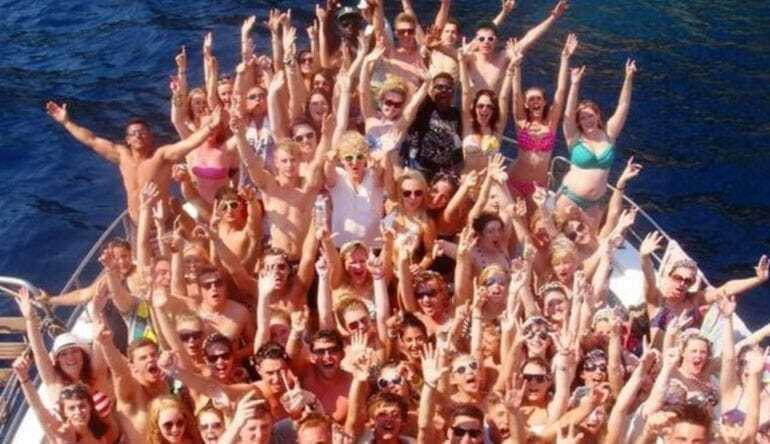 Zante has had a reputation for years as being the ultimate lads or girls party holiday destination. The island itself is insanely beautiful and full to the brim with beautiful sandy beaches, watersports, cobbled streets and more. But if you really want to get in on the action, you have to travel to Laganas on the south coast of Zante. 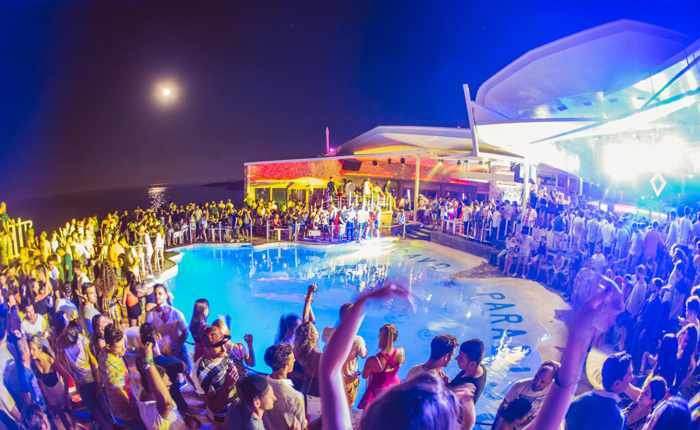 This is the home of the famous Zante Strip complete with over 100 bars and clubs including Ghetto, Barrage, Rescue, Cabanero’s and the world-renowned Hed Kandi Beach Party. Kavos has a reputation for having absolutely no limits. So if you want a wild Greek party island – this is the one for you. Similarly to Zante, all of the bars and clubs are easily laid out for you in one long strip, so you never need to travel far to get a drink. Venture down to Club S-X for its infamous foam party, chill out with a few cocktails on the beach in Atlantis or take a trip to one of the biggest clubs on the island, Futures. And then you can soothe your hangover on some of the island’s most beautiful beaches.